Digital Ingenuity Systems's flagship AVIT is a platform technology that enables monetisation of online videos using a proprietary augmented video indexing technology. The firm's patented technology allows users to pause a video anytime while playing it and get information about all the items displayed on video's paused frame. They can also purchase the items (displayed in the video they are watching). The technology allows viewers to 'engage' with the content. It is backed by big data analysis to tell content providers and advertisers which products will prompt purchases, in turn helping them get more advertisers and attain better monetisation potential, with advertisers also getting a measurable return on investment (ROI). It connects content creators, advertisers and end users and has applications in media, entertainment and education sectors. The company recently showcased its product at the Techcircle Demo India event. "There are close to 1.2 billion online video viewers globally and around 42 million in India alone. More consumers are watching video online, across various devices. With more consumption of online video come more publishers of content and advertisers who aim to get their message in front of that content. And that is where we come in," says Akash Bhavsar, founder and CEO, Digital Ingenuity Systems. 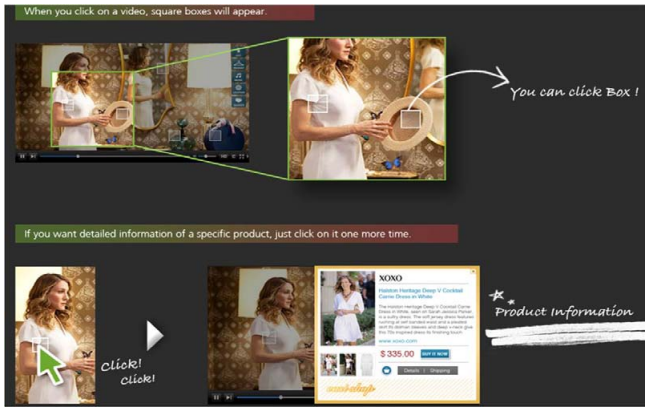 The AVIT player is embedded with the product, music and location information (to reach potential customers) and will eliminate any annoying in-stream and in-video ads that is shown before, during or after a video. Users can surf through an e-shop (a shopping menu of the AVIT player) to see products of interest, and can also purchase them if they want. The Ahmedabad-based startup was founded by Bhavsar in December 2012. He has also the co-founder of SkyQuest Technology Group, an IP-based research and investment banking firm, and has earlier worked with companies such as Spectrum Clinical Research Pvt Ltd, Veeda Clinical Research, Planman Consulting Pvt Ltd. He holds a PGDPM degree in marketing from Indian Institute of Planning and Management (IIPM). The team includes 19 engineers and data analysts some of whom are operating from South Korea. 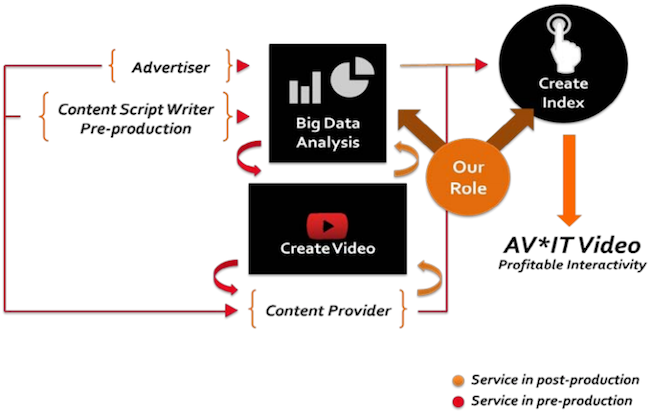 For generating revenues, the company will provide big-data analysis at pre-production stages to carry out screen play analysis and assist with relevant saleable in-video product placements; offer a video indexing service to content producers/licensee platforms; share advertisement pay-per-click income from video content with content owners/video platforms; and aim lead generation or referral fee and/or commission from sales of video commerce transactions. "We have developed a mechanism to insert information within a video and have created new value into video advertising. It offers the perfect opportunity for brand marketers and content providers, combining the power and engagement of ads with the targeting, tracking and interactivity of online advertising," Bhavsar said. The key challenges for the company include getting access to premium content from content providers and getting access to content scripts in pre-production stage (which would require heavy lobbying with production houses). Also, the fact that the technology cannot be used over YouTube videos (which is critical for such an offering) is a big drawback for the company. "We will develop a YouTube wrapper in six months. We can then use videos hosted on YouTube and our YouTube wrapper can induce all the interactivity and meta-layers needed to make it clickable," he said. In terms of competition, companies such as VideoClix.tv, Clikthrough Inc, ConciseClick, and wireWAX are operating in the same space. According to Bhavsar, what differentiates AVIT's technology from the rest is the fact that it offers better monetisation of content and sharing of information in a single frame and clicking on AVIT videos doesn't disturb the video viewing experience. Bootstrapped as of now, the company is looking to raise around $1.5 million in the next six months, which will enable it to complete the integration of the AVIT player onto the Web and across platforms. The company will launch its beta product by November 2013, in addition to developing a new portal called Freezebee.com that would be used for hosting videos. It is also looking to open a US office by the end of this year.